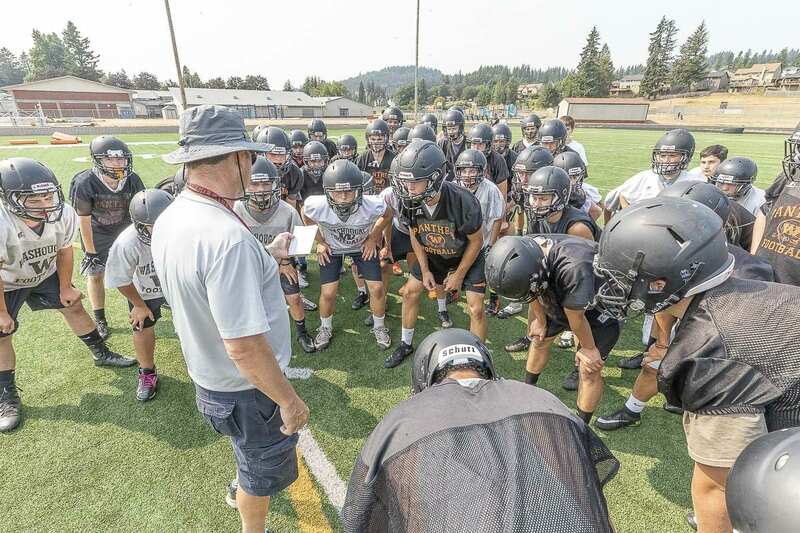 Just a week into the season and there is internal beef within the Washougal football program. Washougal coach Dave Hajek said his linebackers coach credited Brevan Bea with 22 tackles, but the team statistician only had 21 for Bea. OK, so that’s a good beef to have, and no matter the count, that is a lot of tackles. The Panthers opened the season with a 16-13 victory over Class 3A program Hudson’s Bay. After watching the game on video, Hajek noticed a lot of good and a lot of not-so-good. Typical Week 1 stuff. In fact, Hudson’s Bay is coming off a playoff season, too, just like the Panthers. Washougal appreciates that first win, but quickly turned its attention to the next game. And fixing the miscues. The Panthers, Hajek noted, had three trips to the red zone that failed to score any points. One touchdown was called back on a formation penalty. That is what non-league games are for, though. This week in practice, the Panthers are going the extra steps to ensure that type of penalty does not cost them again. Hajek noted the next opponent, Prairie, another 3A program, looks to be improved from last season. This will be another test for the Panthers.